Book Fairs are a great way for us to promote literacy and help create world peace through the understanding and tolerance of differences, while getting a chance to play in our local community AND having book sales support our non-profit. We partner with the Boulder Pearl Street Barnes & Noble twice each year to create a Book Fair in support of Moon & Stars Foundation. Shop on Wednesday, December 5, 2018 at the Pearl Street Boulder and mention Moon & Stars Foundation at checkout, or show the barcode below. Barnes & Noble will donate a percentage of net proceeds from the book fair sales to Moon & Stars Foundation. Can’t make it out on Wednesday, December 5? No problem! 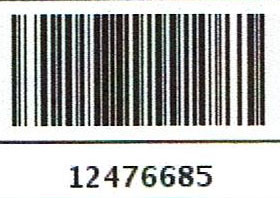 You can shop online at bn.com through Sunday, December 9, 2018 with the code below. A percentage of your purchase will be credited back to Moon & Stars Foundation. Thanks in advance for your support!